Want to get your hands on designer goods for a fraction of the price? Of course you do, so make sure to mark Thursday 24rd July on your Calendar. 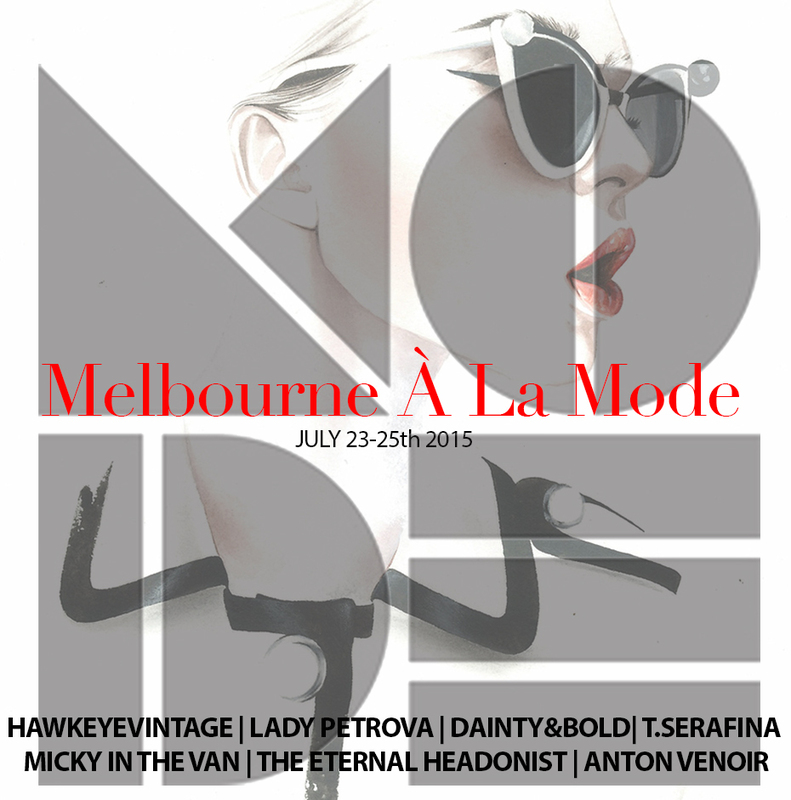 Hawkeye Vintage will kick off its first ever pop up shop event, Melbourne a la Mode, set at the gorgeous, recently refurbished George Ballroom in St Kilda. The Parisian-inspired pop up shop is fully stocked with goodies from both local and international fashion, celebrating all things fashion. The event will feature a stunning curated collection of fashion clothing and accessories from Lady Petrova, The Eternal Headonist, Micky in the Van and Dainty & Bold. As part of each brand’s commitment to supporting the community, 10% of profits from the event will be donated to Assist a Sista, an Australian charity supporting women recovering from domestic abuse. Melbourne a la Mode will be the first collaborative pop up shop of its kind and will continue as an annual event in celebration of all things fashion!